To say that the Late Model Stock Car engine program has been out of hand for the last decade or more would be a slight understatement. The mess that adding engine combination after engine combination over the years created was one that’s left competitors broke and race tracks in dire need of more competitors. Recently conversations have come up about how to fix this problem. We all know that NASCAR Whelen All-American Series officials, track management, CARS Tour management and more have been looking at ways to fix the problem but no real steps for improvement came until last fall. That’s when tracks began to get together and everyone started taking this issue more serious. Much of that work goes unseen by the general public. We don’t know what’s going on at NASCAR, we don’t know what’s going on at the local tracks in the offices during the week and we don’t know what the CARS Tour has been working on. I talk with track owners, tech guys and other officials all the time but it’s not always their perogative to divulge information to the media. Some however share any and everything in hopes of getting conversations started that will help this process. It’s transparency that will help guide this boat in the right direction and I’m not trying to be the leader of anything but with race22 we have a huge audience for Late Model Stock Car racing and we’re ready to help any track, official or series get their word out. With that said, I will also admit I don’t know anything about Super Late Model/Pro Late Model racing. So when the All-Star Restrictor Plate was suggested recently by a chassis builder, I had no idea what they were talking about. But with a little research I was able to find out that the Super/Pro racing world has been using the restrictor for many years to try and even out engines and make their racing more competitive. After talking with a few people including a couple of track owners about the restrictor, I felt like this was the way to go for Late Model Stock Car racing. We have had countless engine combinations and always one engine towering above the rest. This could be a cure or at least something close to it to allow the cheaper options to compete with the high horsepower beasts that were dominating at many tracks. In my conversations I came across many that agreed that this was the way to go. Two track owners in the region and CARS Tour Series Director Chris Ragle. Ragle informed me how close the series was to going with the Restrictor before a Monday test of the Ford 347SR upgraded camshaft and lifters. Ragle stated that the CARS Tour was leaning toward evening up the Late Model Stock Cars with the All-Star Restrictor plate. “We were all set to go with the restrictor for 2019 and then NASCAR approved the Ford upgrade and that changed everything for us,” said Ragle. 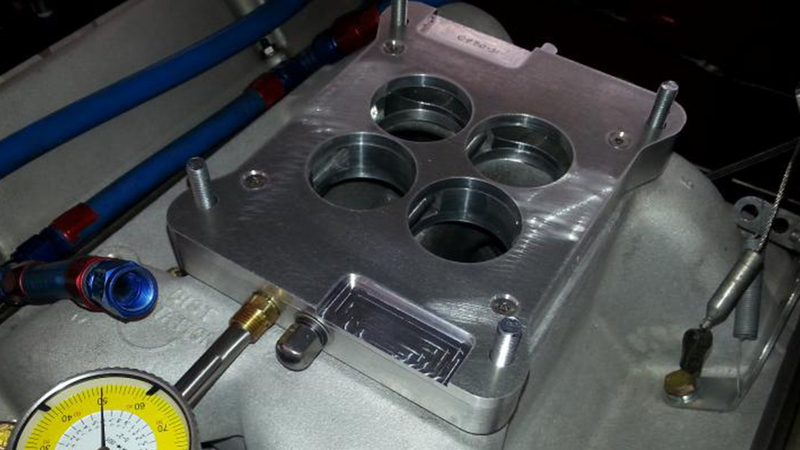 The upgrade according to Ragle is a minimum of $2,500 and before NASCAR approved it they felt as if the less than $100 restrictor was a much better and cheaper option. Having dealt with the restrictor on the Super Late Model side of the tour and knowing it’s worked for 15 years gave them confidence that it would have worked for the Late Model Stock Car tour as well. The restrictor plate was one step away from being implemented for 2019 and if not for the Ford upgrade we might have got the engines even closer and certainly closed the gap for the lesser horsepower engines. I guess since the Ford camshaft upgrade was approved by both NASCAR and CARS we’ll never know what the restrictor might have done to cure the Late Model Stock Car ills.